It's official, Tales From Space: Mutant Blobs Attack, an indie Vita launch title from DrinkBox Studios, has a release date. For North America the title will be up starting February 21 and all supported PAL territories February 22. 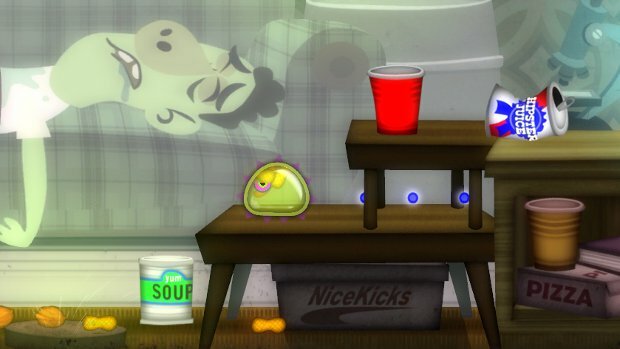 Not only that, Mutant Blobs Attack will only be $7.99. If you don't happen to be getting a PS Vita right away but do own a PS3, the previous game, Tales From Space: About a Blob, will be going for $7.99 as well. There will also be a bundle pack featuring About a Blob and some DLC for $9.99. If you're a DrinkBox Studios fan, or just like crazy puzzle platformers, this might be worth a look. For the asking price it isn't bad at all. I may not be getting a Vita on day one, but I'm probably going to be getting About a Blob. DrinkBox, you know the way to my heart: low price points.